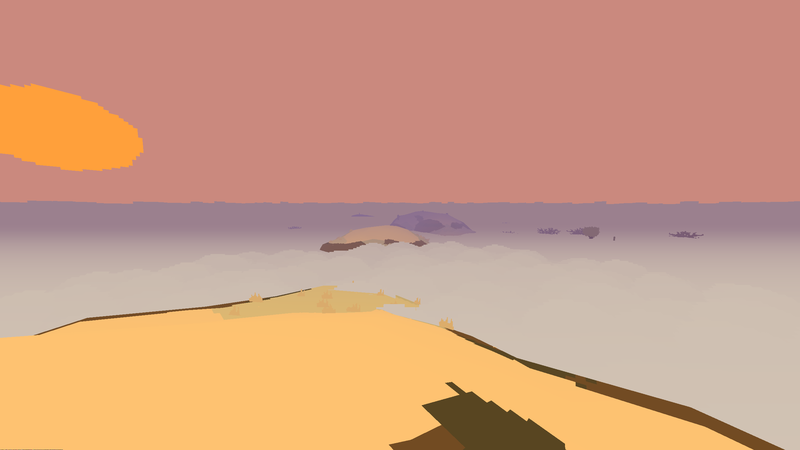 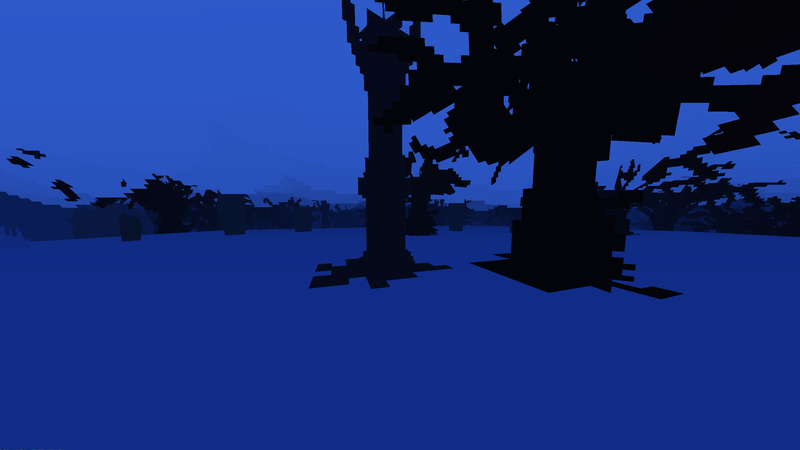 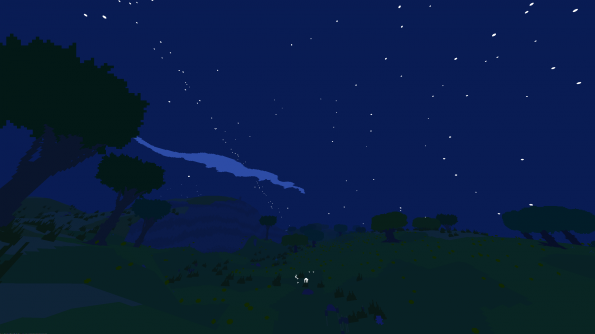 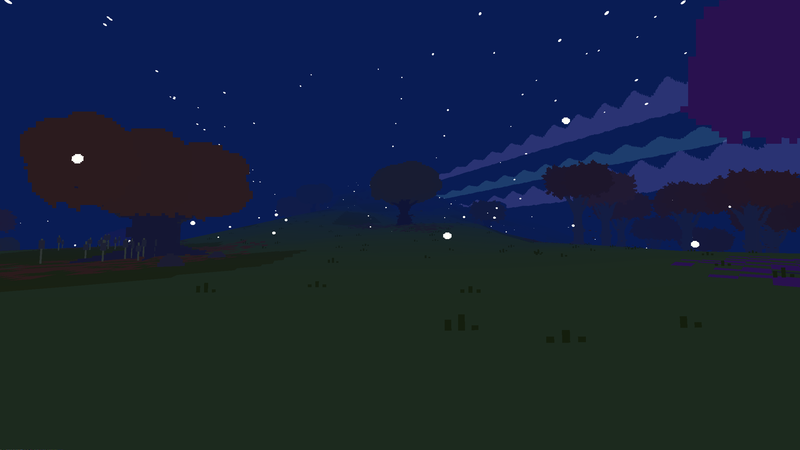 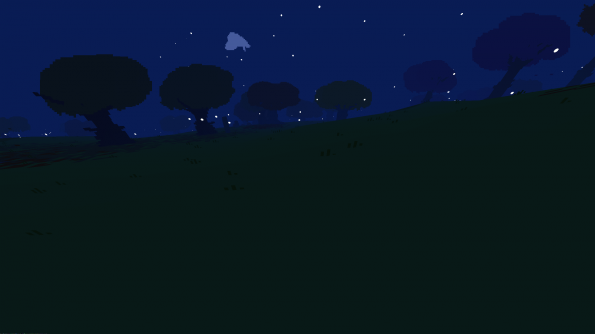 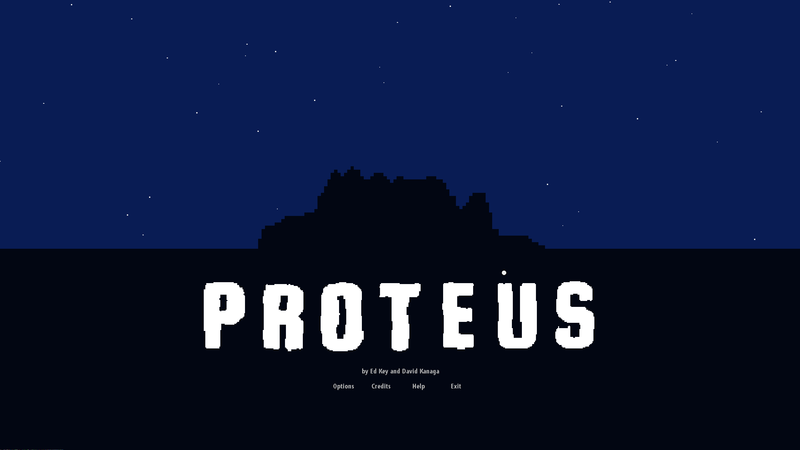 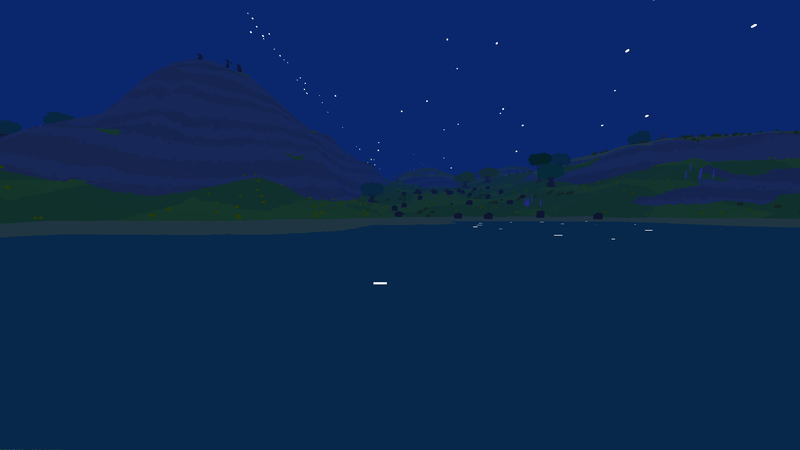 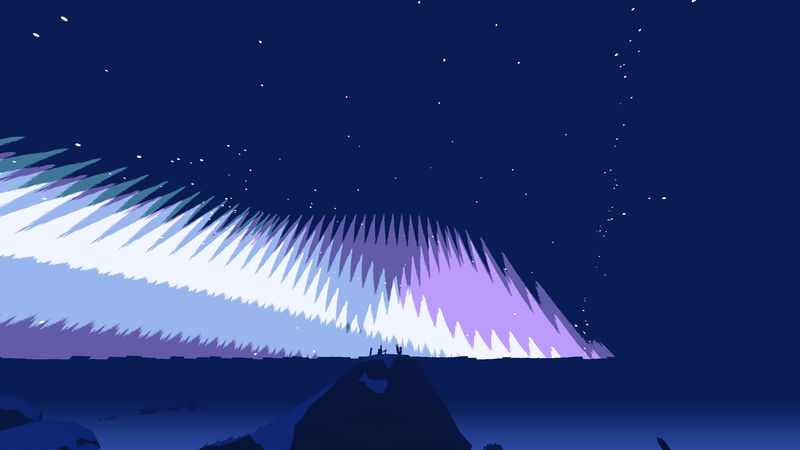 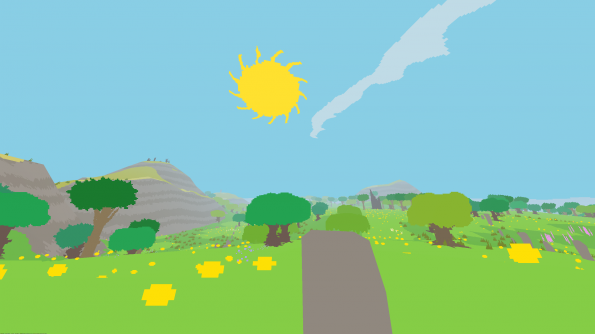 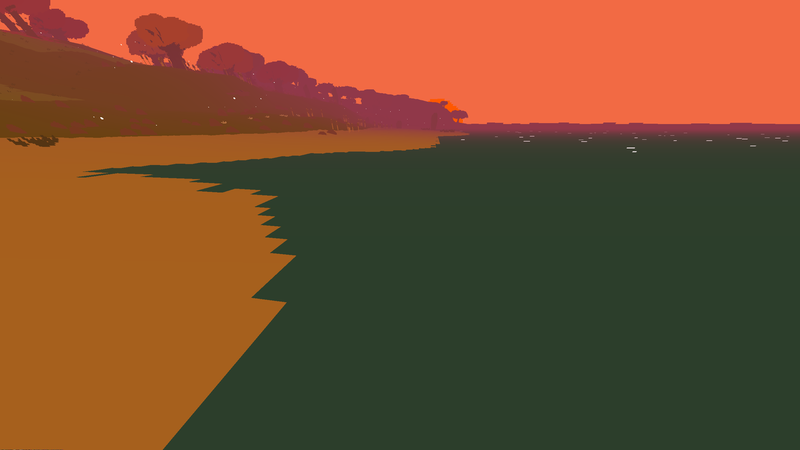 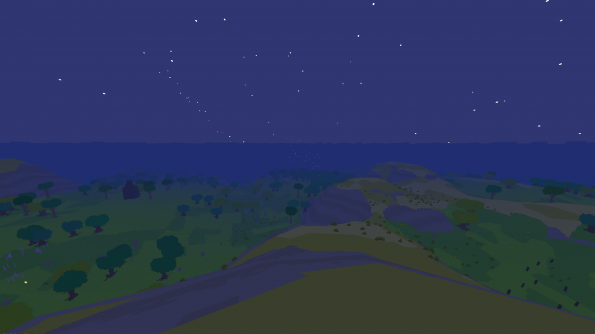 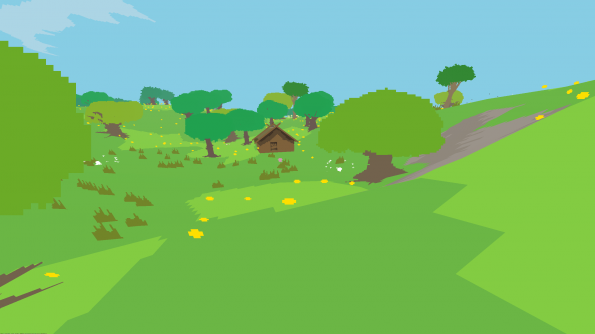 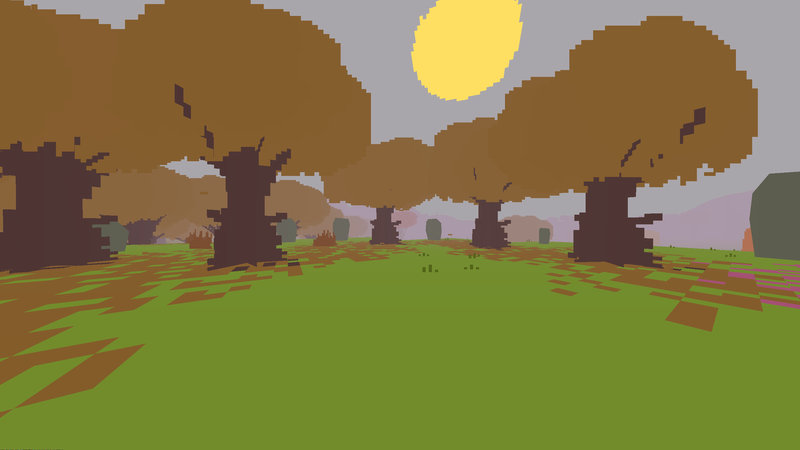 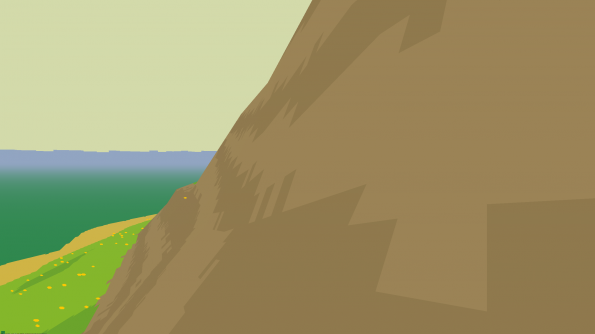 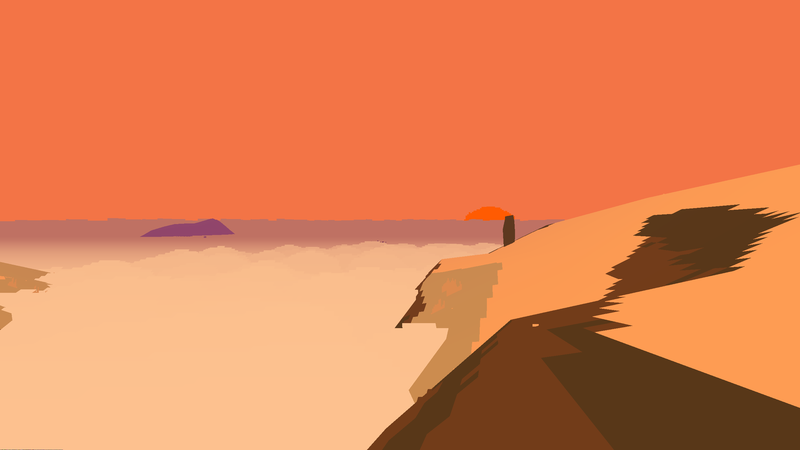 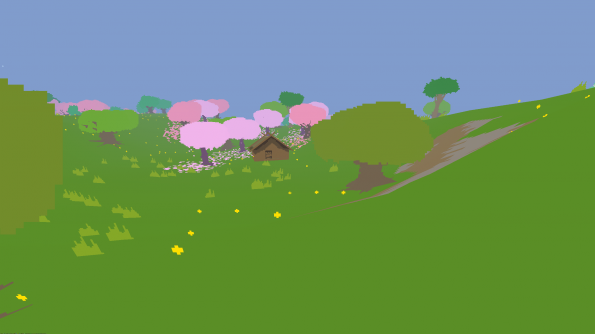 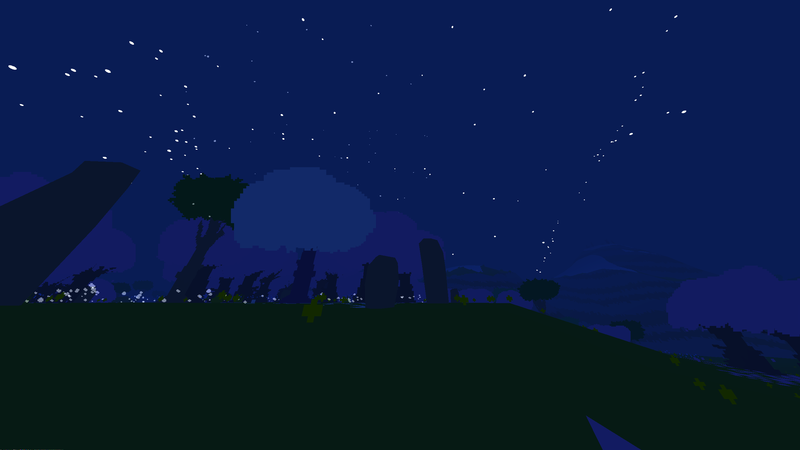 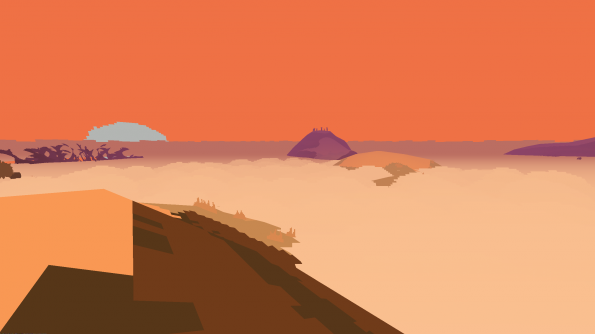 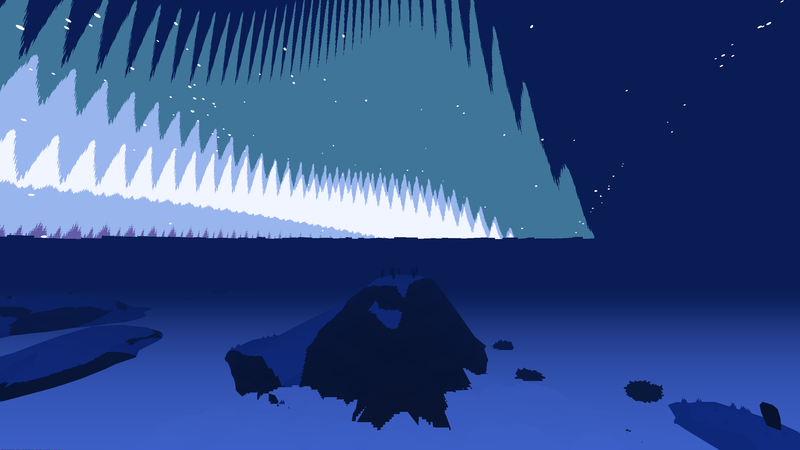 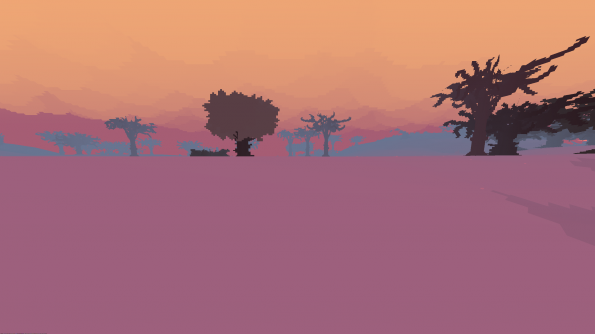 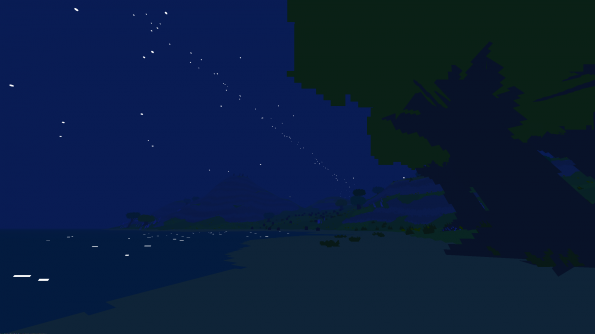 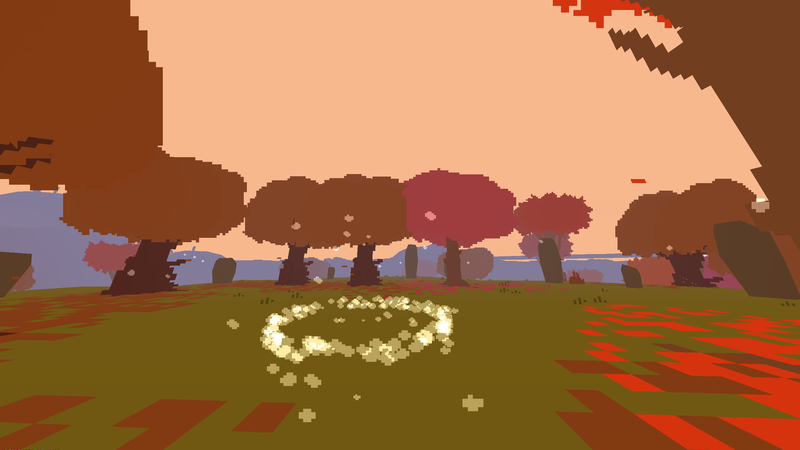 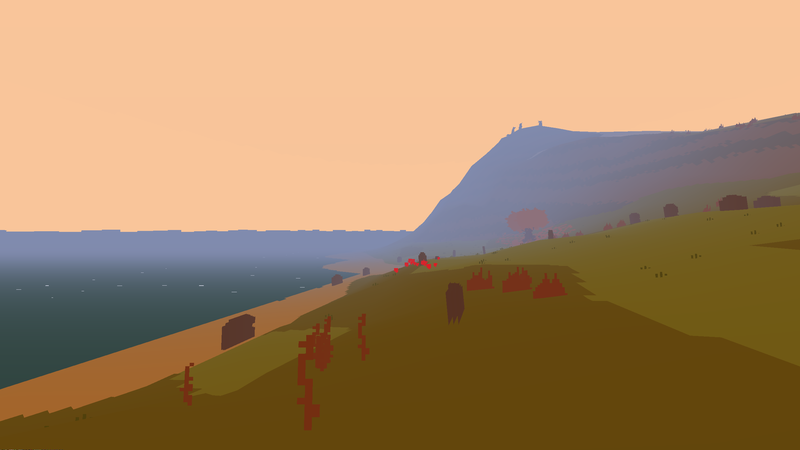 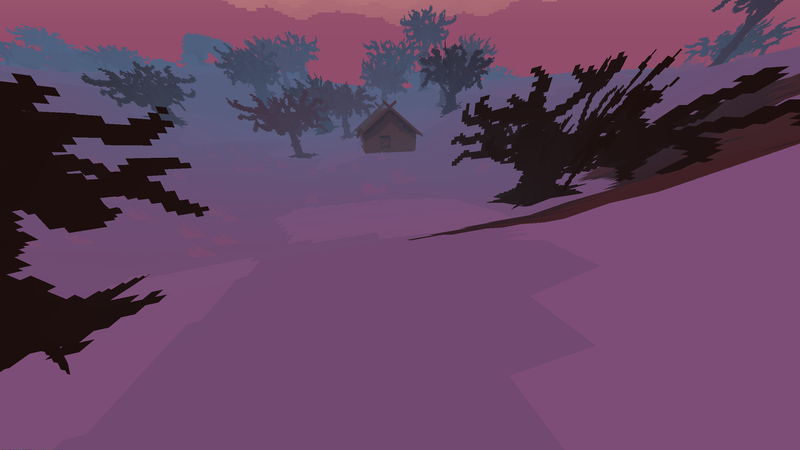 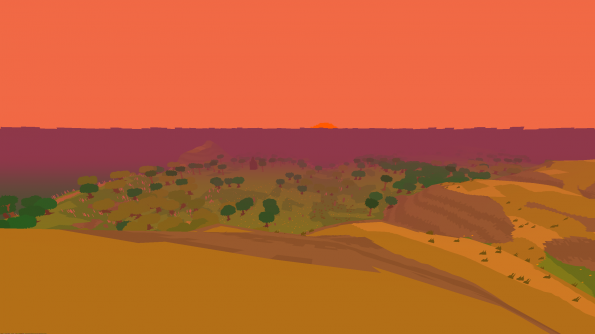 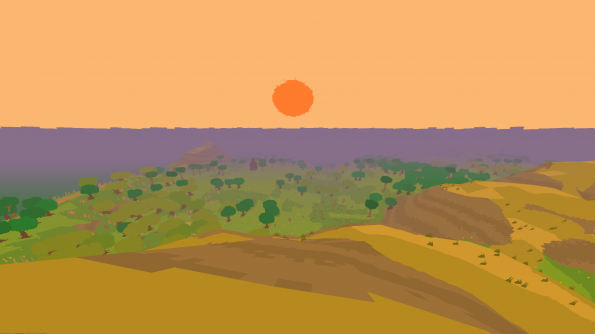 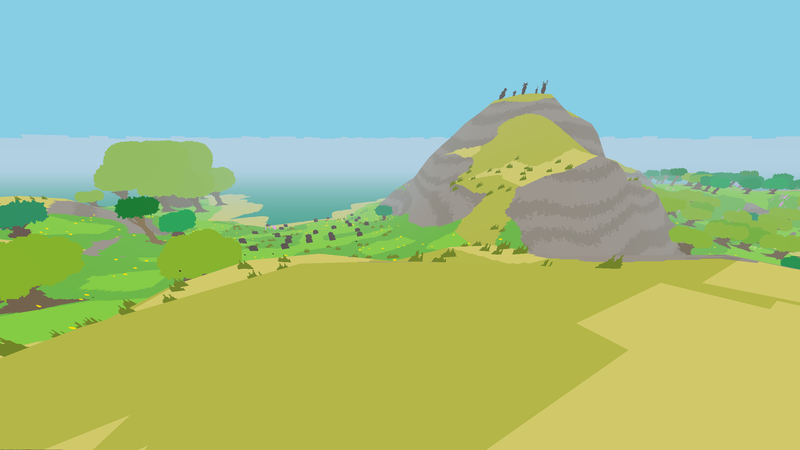 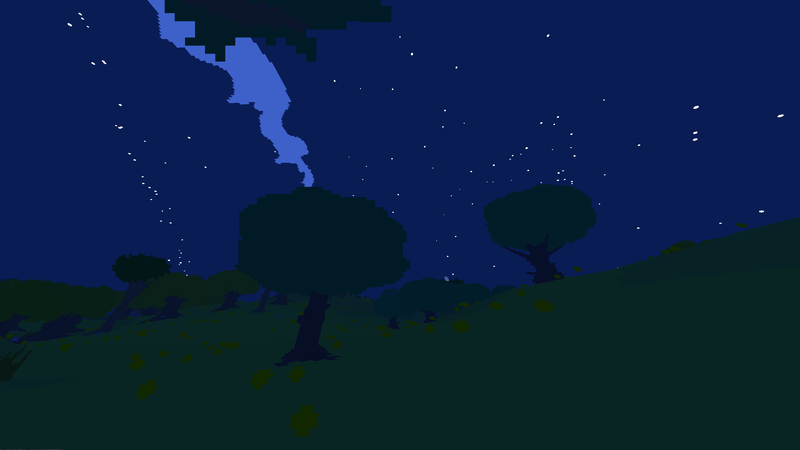 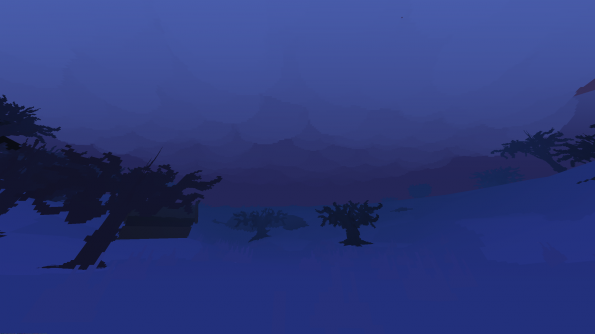 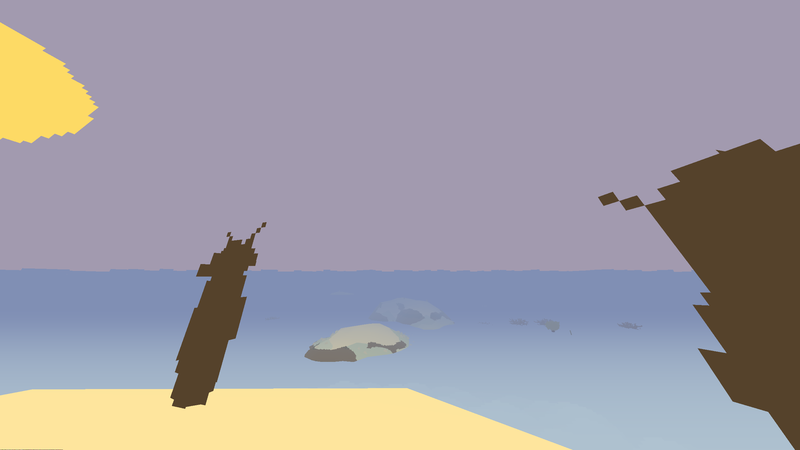 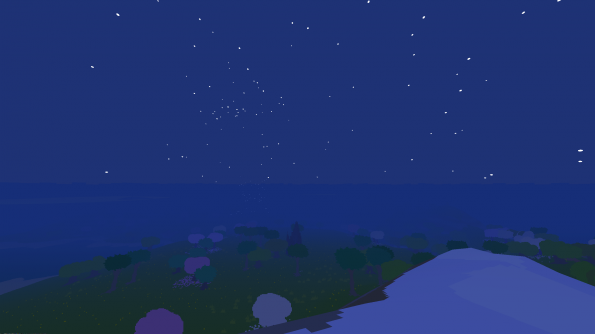 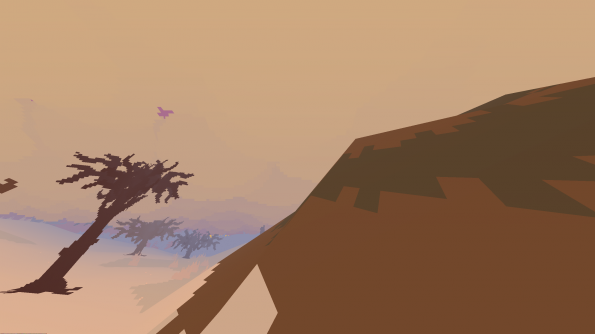 I wish I’d written about Proteus soon after playing it: it’s an amazing game, different in significant ways from almost every other game I’ve played, and while I don’t think I’d managed to come up with too many coherent thoughts articulating what I had to say, I suspect I had more at the time than I have now. 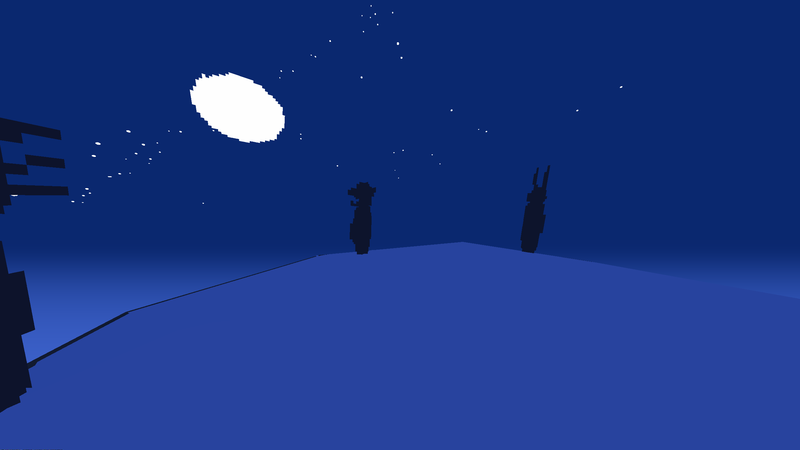 We did talk about it as our VGHVI Symposium game this May, but it looks like that conversation is never going to be published as a podcast, so I can’t go back to listen to the discussion there to see what collective thoughts the game spawned, either. 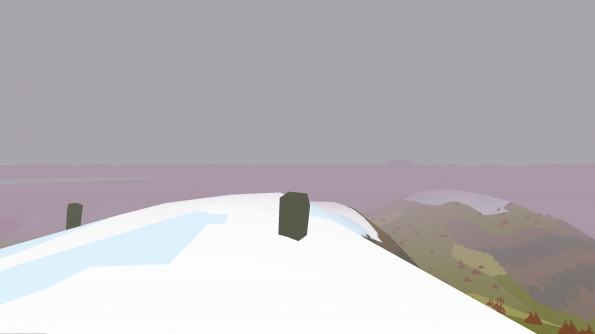 The first time that the game really felt different to me was when I pressed the space bar and, rather than having that cause my character to jump, it caused my character to sit down. 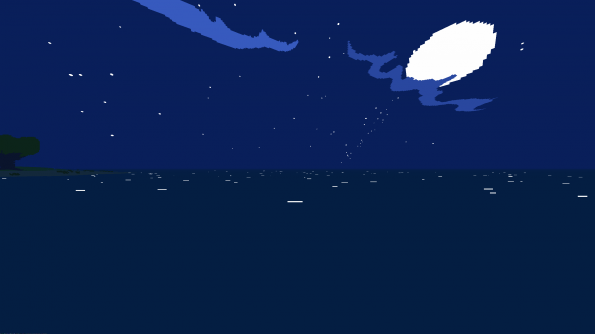 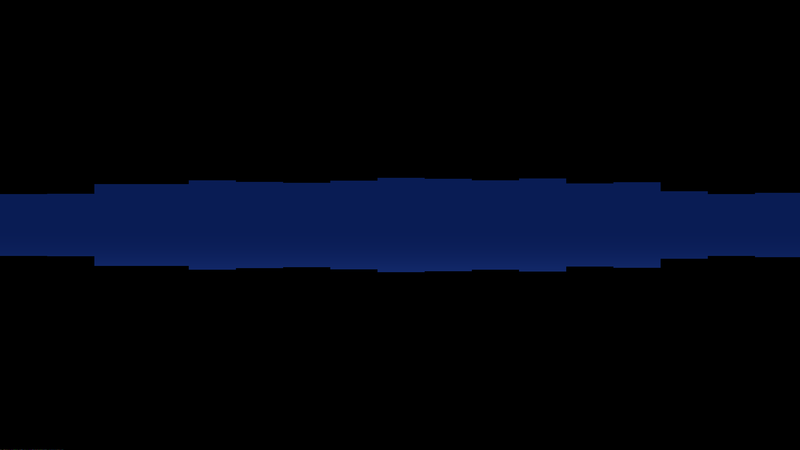 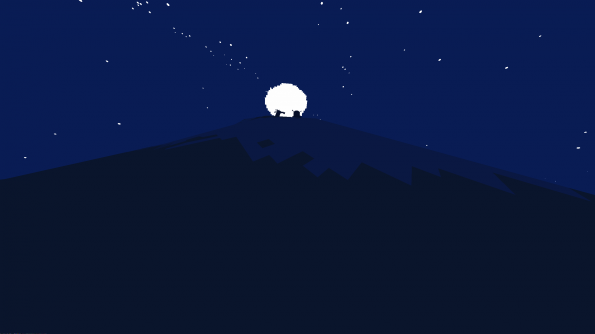 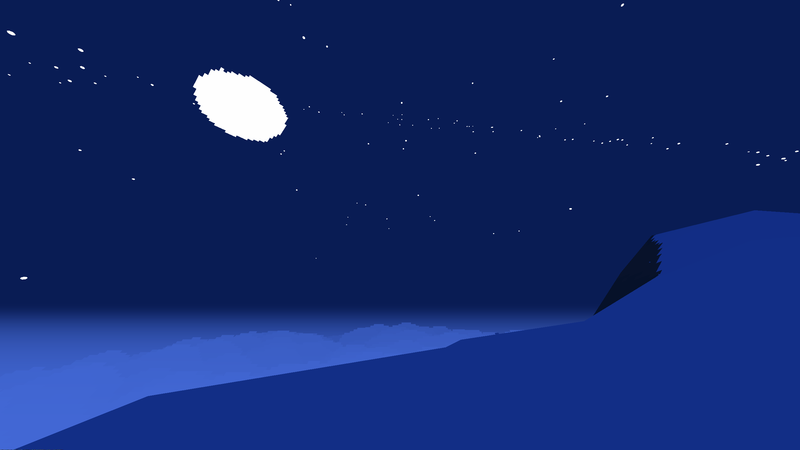 So: a game about pausing and drinking in your experiences; I spent a lot of time sitting down in the game. 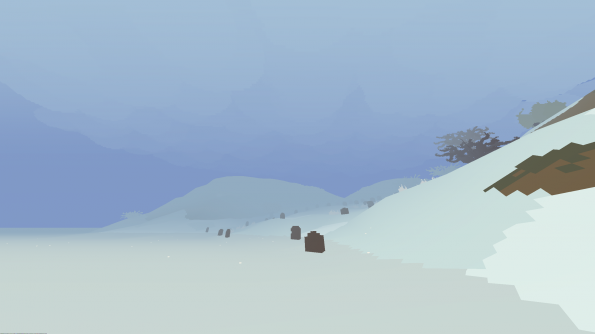 In my first playthrough, I was a bit rushed (we had to go to a concert), so I was trying to make it through the last season. 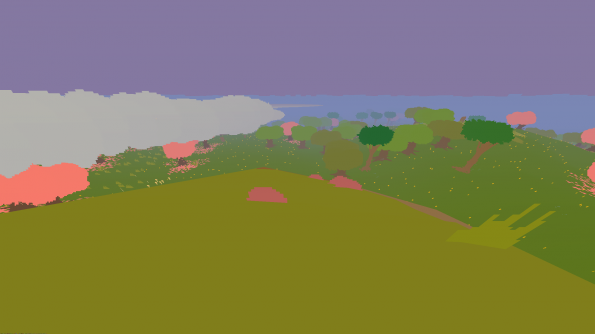 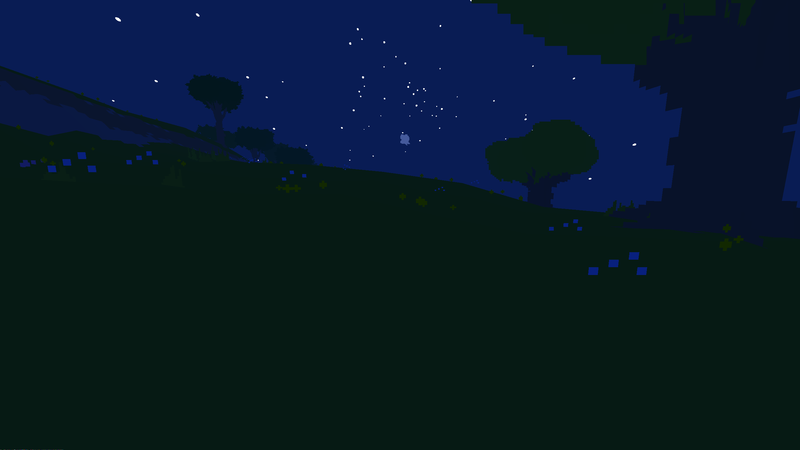 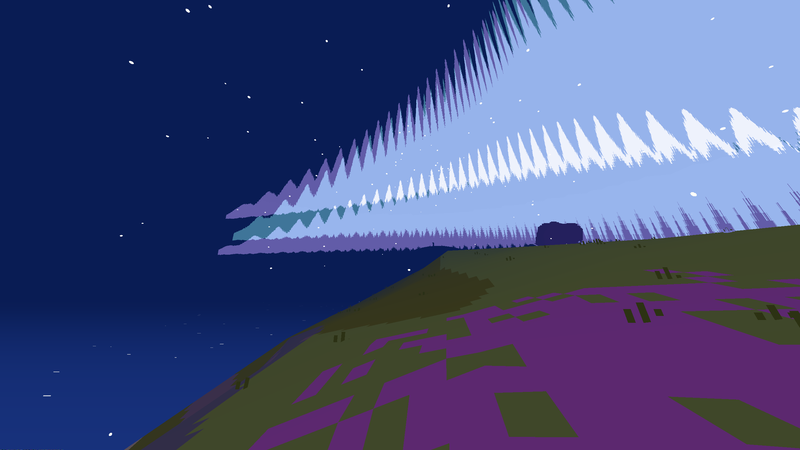 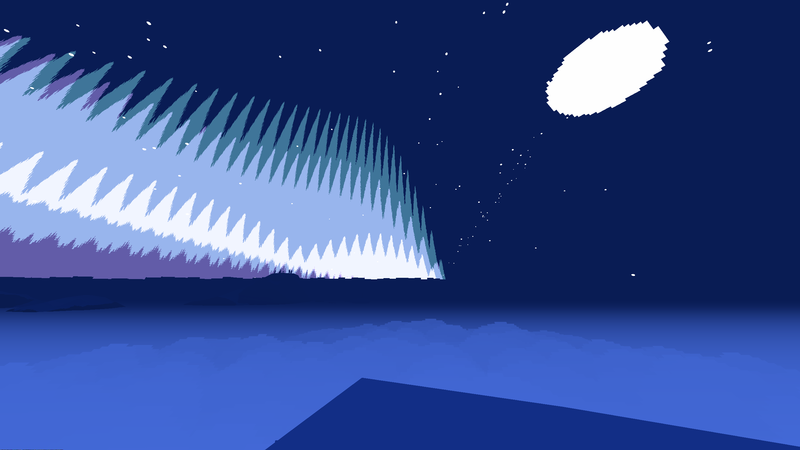 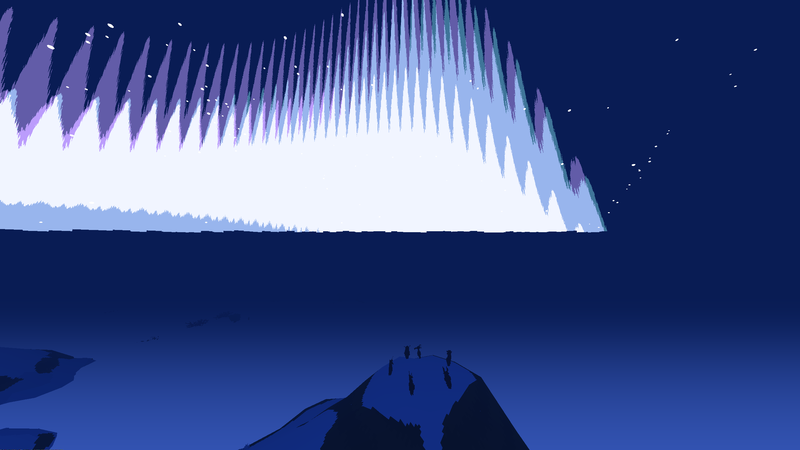 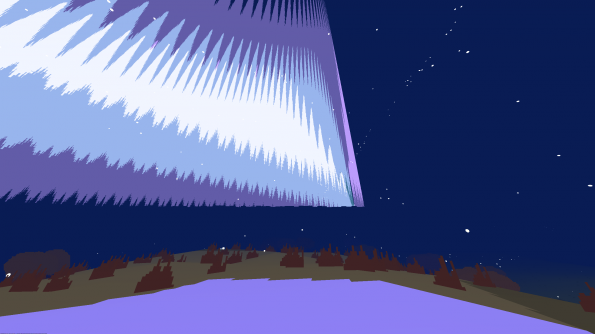 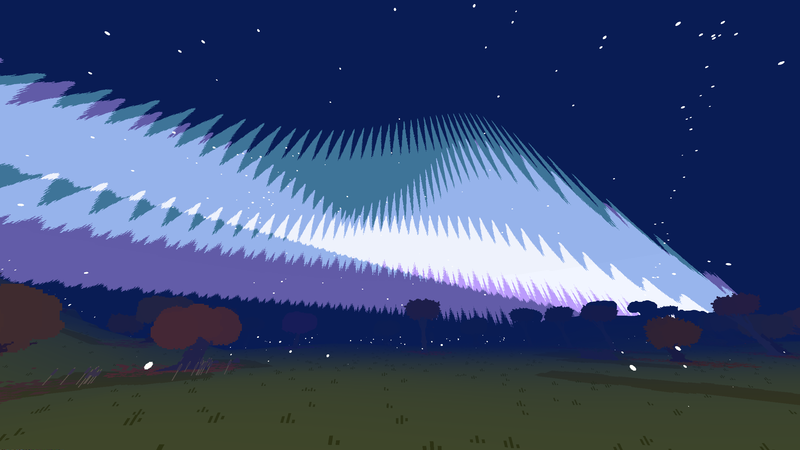 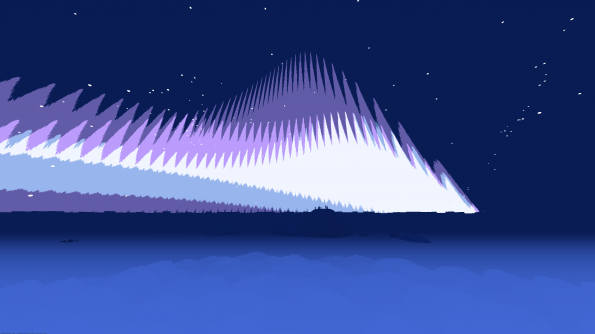 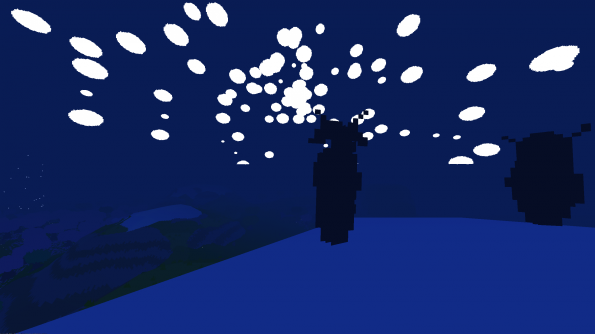 But I couldn’t figure out what needed to happen to end the game, so I was running frantically around the island under the assumption that I just couldn’t see the spinning lights because of the cloud cover. 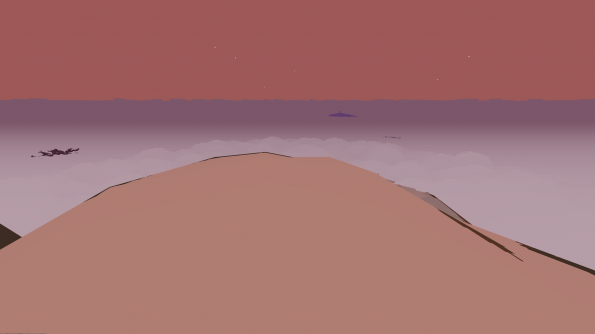 And then I started floating away, my worries turned into wonder in one of the most transcendent sequences I’ve ever encountered in a game. 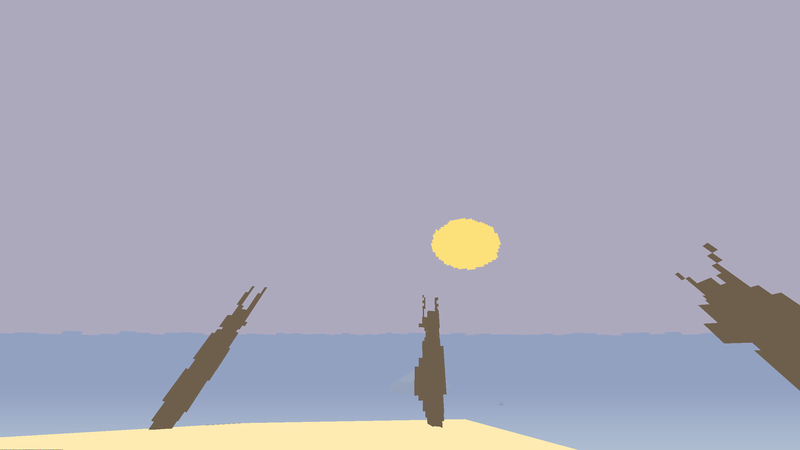 So: not much to say. Maybe, for a game like this, it’s more appropriate for me to just give pictures without commentary.